:B Man ( colon_b_man ) is established in 2017 from artist Blessy Man. This brand focuses on promoting fine art intaglio prints & kid wooden building blocks, and planned for releasing putti themed enamel pins, embroidery badges and stickers in between 2018 and 2019. At the moment, :B Man has been participated Joy Life Ma Wan by The Boys' Brigade (HK) & Think of a Style, and Hoi Kok Day Tan 2046 in 2017 December. A: :B first came out from my head when I use :P and :3 emoticons so often, and that leads me to combine the first letter of my name - B, with the colon : , and this is how :B was first born. most of the intaglio prints from :B Man are postcard-size, designed for delivering initially for art peers while Blessy studied oversea back in 2015 (for more info regarding the friendship print works please click here). 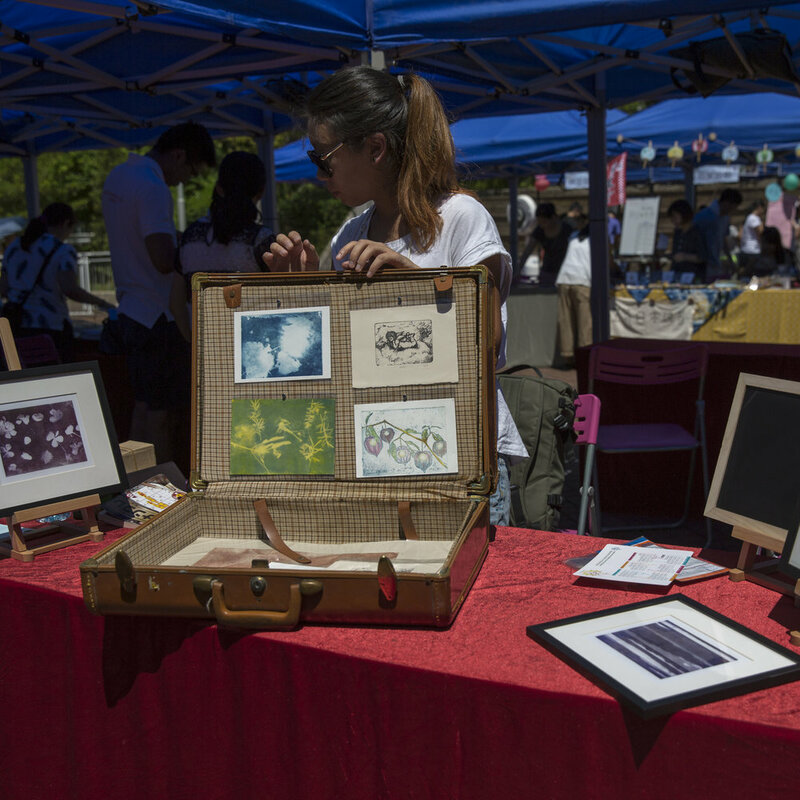 You can always purchase either in digital printed postcard or the real handprinted intaglio with the frame during the next fair. :B Man provides handy crafted and artsy wooden building blocks for kids, to expand the way they think while playing ordinary car toys with :B wooden toy. It could be also a delightful decoration for architecture enthusiasts, putting one piece as if part of "Hong Kong mini corner".